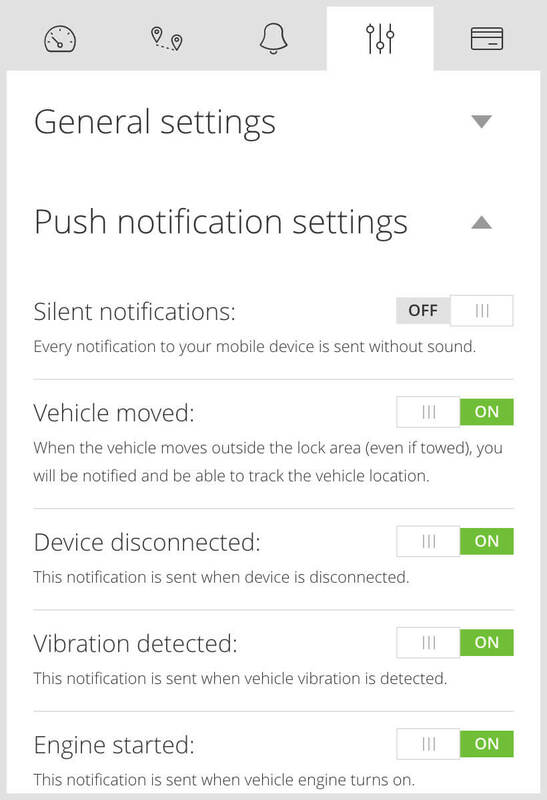 my.CarLock is a powerful web application for managing all your vehicles in one place. It was designed to work on desktop computers and tablets. If you already have a CarLock account, you can start using my.CarLock now by logging into your account. 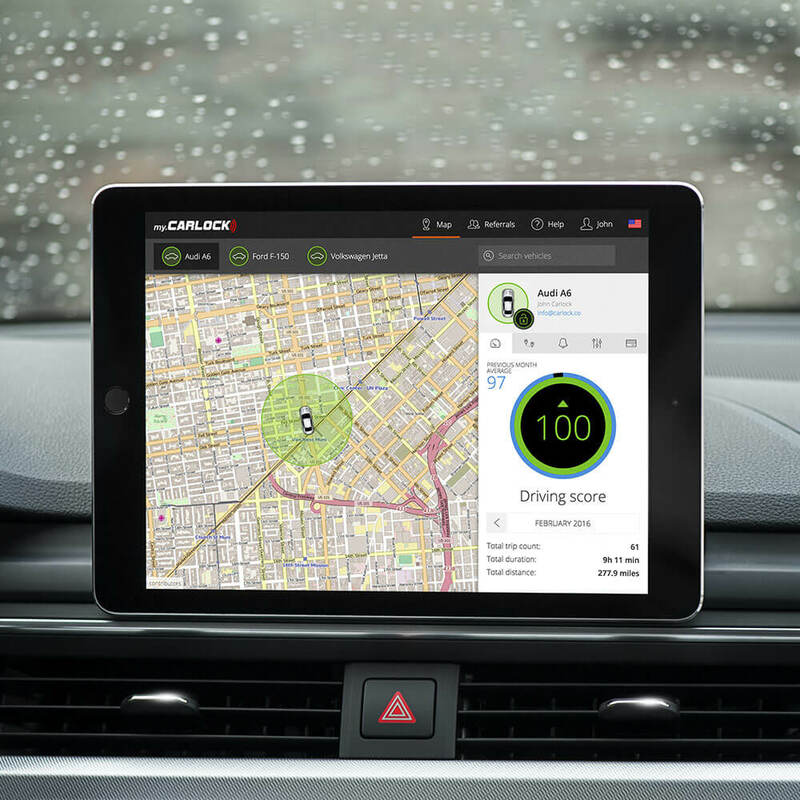 If you don't have a CarLock account, you are welcome to try myCarLock demo. 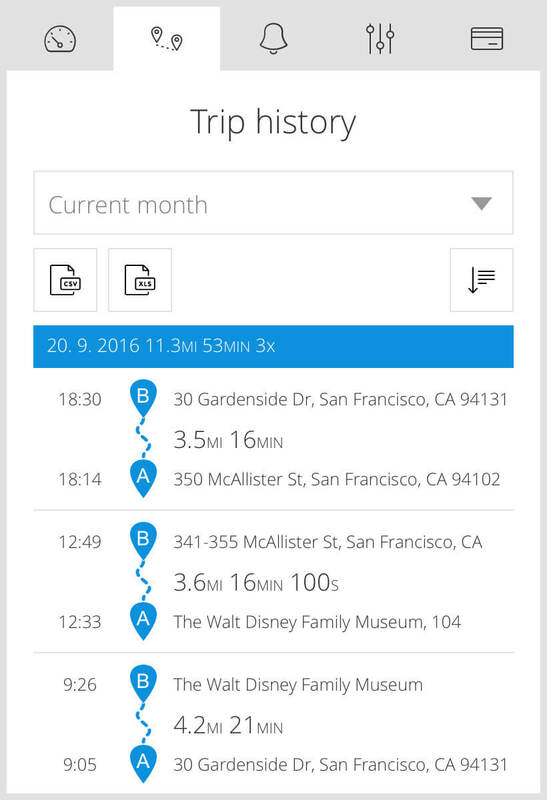 You can easily export your trips from my.Carlock to your computer. Simply select the date range you would like to export, and press the “CSV” or “XLS” button to start the download. Use my.CarLock to invite your friends to buy CarLock and earn up to two years of subscription. 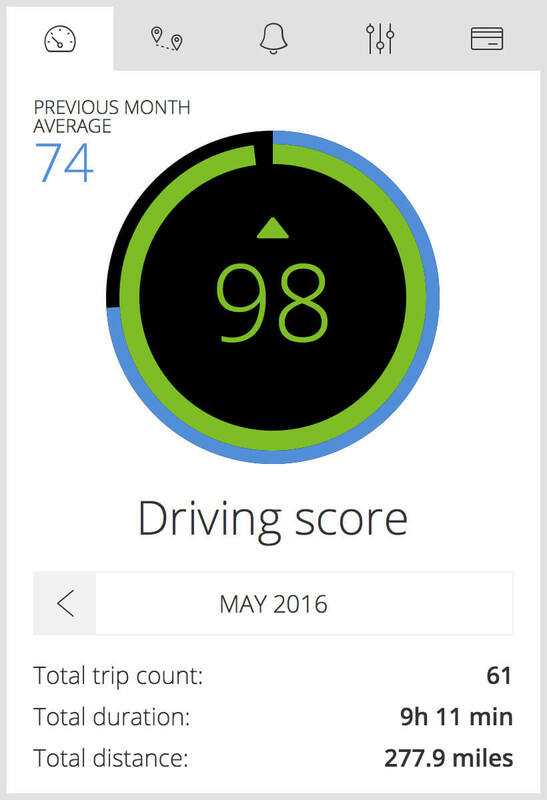 We will give you a free subscription for every friend who activates the CarLock device. Manage your privacy settings, emergency contacts and update your personal information. 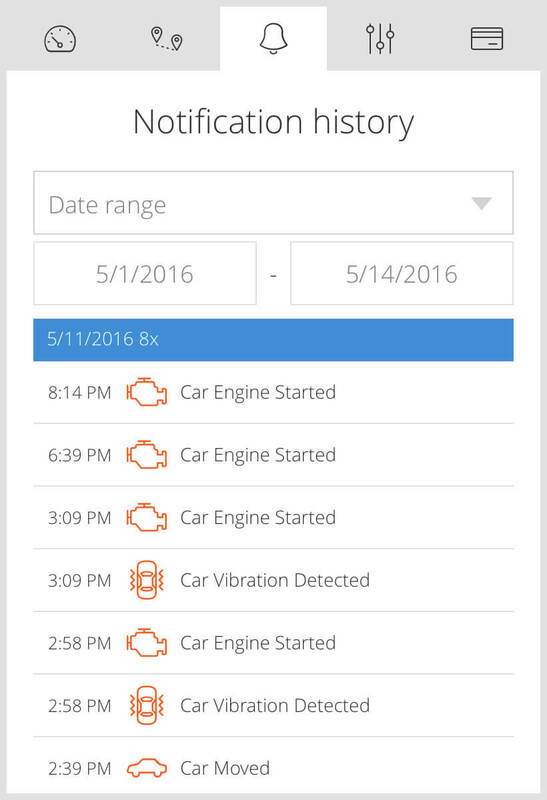 my.CarLock enables you to keep all your personal information safe and up to date. Be aware of the subscription status for all your vehicles and extend the subscription before it expires. 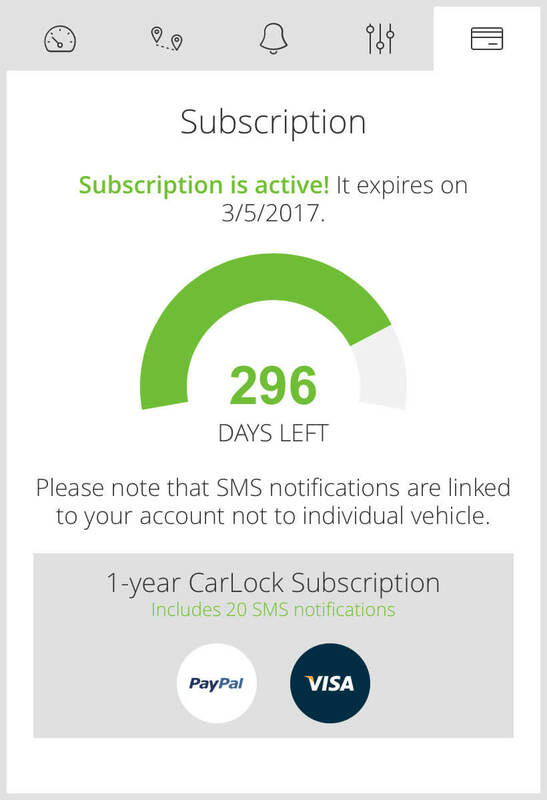 Use my.CarLock to extend your subscription or buy SMS and backup call notifications. 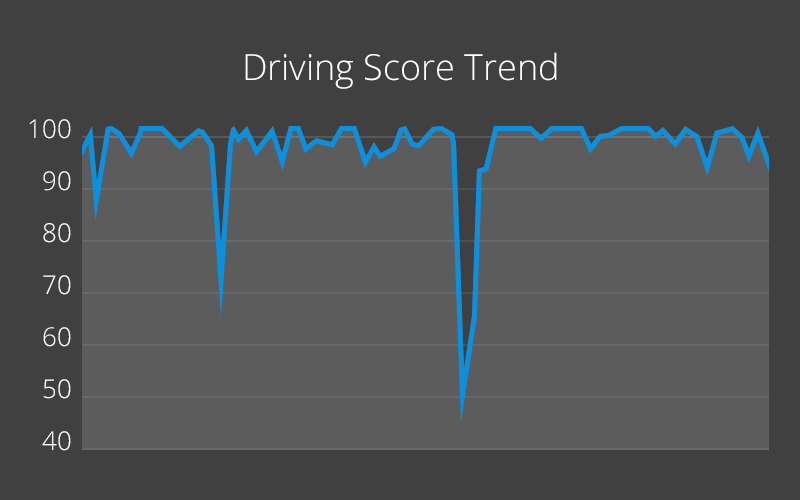 Ever wondered how much time you spend behind the wheel?